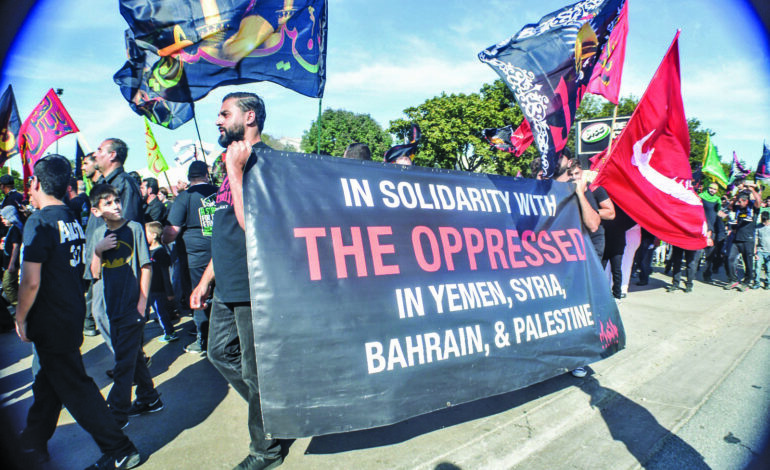 DEARBORN — A few days before the fifth annual “March for Justice” took place in Dearborn, the Ashura Project released a video promoting its organized procession with the question, Why do we march? 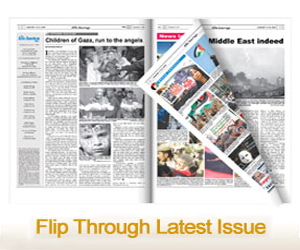 The video powerfully displayed scenes of injustices around the world that call for action and revealed the reasons. They march for Black lives, for Muslims in Myanmar, against hate, for Palestine, for Yemen, for Bahrain, for Syria and against ISIS. They march in the paths of their Prophet Mohammad and his Ahlulbayt (family) — for justice. On Sunday, Oct. 1, they reiterated their stance during the procession through signs as well as banners they held front and center against these injustices. 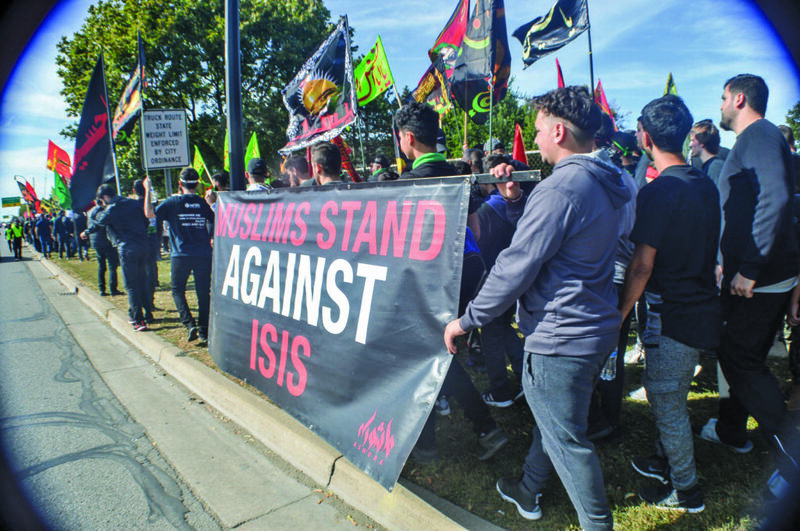 They also carried Arabic green, red, yellow and black flags, which displayed mourning over and admiration toward Imam Hussein (the Prophet Mohammad’s grandson) and his family, starting at the Fordson High School parking lot and all the way to Ford Woods Park. Two groups of young men, one wearing green and the other red, as well as Muslim Boy Scouts in beige, performed “latmiyat” during the march and at the destination. This usually involves swaying the arms and striking the chest at regular intervals to express mourning during a “latmiya”— an elegy mourning the tragedy of the imam and his family. A group of young women and a group of children dressed in green and red scarves and headbands also recited the different “latmiyas” they had memorized over the years, while tapping one hand lightly on their chests. Along the way, people from nearby neighborhoods offered marchers water and all types of food, ranging from meat, cheese and zaatar pies to a variety of sweets and fruits, in memory of Hussein and his family. At the destination, Sheikh Ibrahim Yassine of the Islamic Center of America spoke out against oppression and asked the marchers to pray for the oppressed and sick around the world. “We say it with Imam Hussein to all oppressors around the world, ‘Death with dignity is better than a life of humiliation,'” he said in Arabic. Kassem Elsaghir, 19, another annual participant, said this march allows Muslims to keep Hussein’s legacy alive by walking in his path for humanity. “It shows the world the true message of Islam,” he said. This article makes me cry.